Since I can’t send a card to every single internet friend who means so much to me, and since I loved this made from scratch card so much: I now present our 2018 greetings! 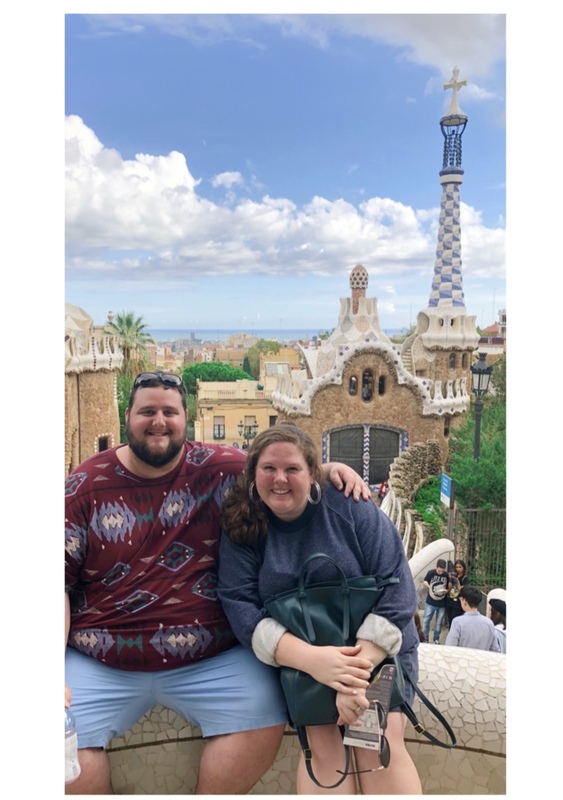 It’s a simple front and back card with a photo of us from our favorite trip yet, Barcelona, and my favorite project of the year, the one room challenge. The star of the show is Effie, of course, because she’s always the star! We really enjoyed 2018. There were rough moments- we kicked off the year with a surgery and many medical complications for Effie, and we’ve ended it with some more. We housed bats and their babies in our attic and promptly saw them to a new home as soon as we could. But we also traveled to a snowy Virginia, Barcelona in the fall, and California for Christmas. We got to go to the beach with my family, and Palmetto Bluff with Andrew’s. We ate and drank and saw and enjoyed. Andrew got a new job that he loves, and rounded out the year with a promotion. I painted more than ever and found inspiration everywhere! We bought our house and saw Beyoncé and Jay-Z live and in the flesh. And it was all wonderful. Thank you, to everyone, for making it a banner year! We can’t wait for 2019 and all that it brings. I’m using this week to brainstorm and scheme, and I am loving it! THE ONE ROOM CHALLENGE: before and afters! It's reveal time!